Heading into the final year of his existing contract the Carolina Panthers have signed Greg Olsen to a contract extension worth $22.5 million with a $12 million signing bonus. Olsen, who started his career in Chicago, battled inconsistency and misuse by former offensive coordinator Mike Martz during the first four years of his career. Since being traded to the Panthers for a third-round pick the former first-round pick out of the University of Miami, has become one of the more consistent players at the tight end position in the NFL. During his tenure in Carolina, Olsen has routinely served as Cam Newton’s security blanket and earned a trip to the Pro Bowl last season. In 2014, Olsen posted career highs in receptions (84) and yards (1,008) to go along with six touchdown grabs. 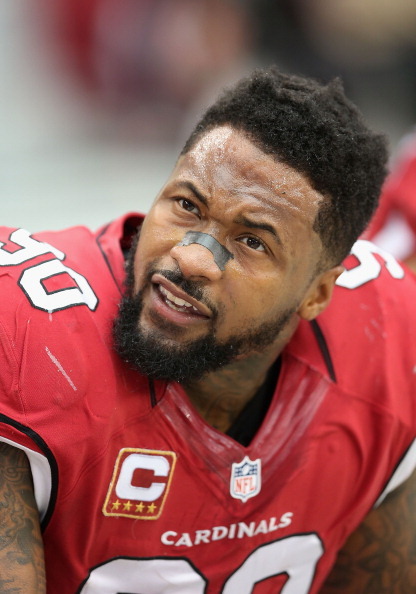 In other news former Cardinals’ defensive lineman Darnell Dockett has decided to remain in the NFC West signing with the San Francisco 49ers. Dockett is expected to be a 5-technique in the 49ers’ D-line rotation. The deal is for two years, worth $7.5 million with $2 million guaranteed. Dockett missed the entire 2014 season with a torn ACL. Inside linebacker Jerrell Freeman received restricted free agent tender from Indianapolis Colts. Wide receiver Jerome Simpson signs a two-year deal with the San Francisco 49ers. Running back Dan “Boom” Herron resigned by the Indianapolis Colts. Linebacker Rey Maualuga will remain in Cincinnati as the Bengals sign him to a three-year deal. Defensive back Charles Godfrey signs a one-year deal with the Atlanta Falcons. Mike Jenkins and the Tampa Bay Buccaneers strike an accord on a one-year deal.